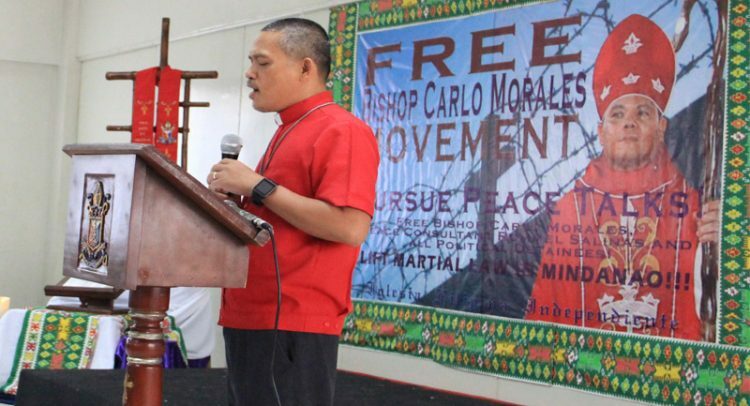 More than 200 people joined the formal launching of the Free Bishop Carlo Morales Movement at the IFI Conference Center in Manila on June 12, 2017. 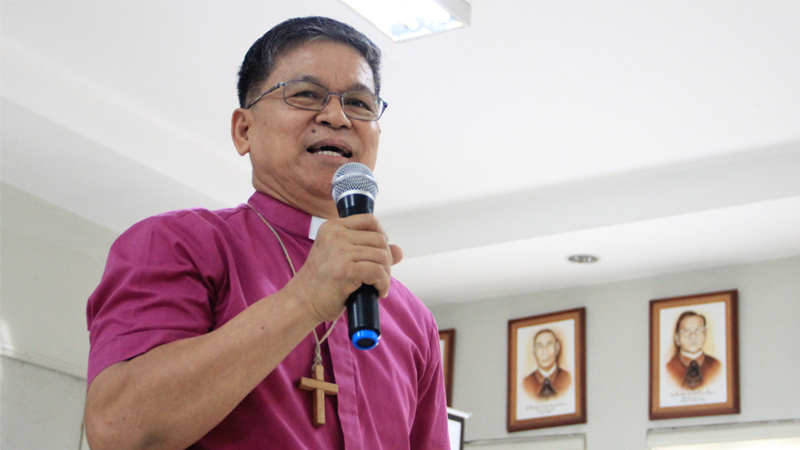 “Though the case of illegal possession of firearms and explosives against Bishop Morales was clearly fabricated, the circuitous legal process impedes the immediate release of the Bishop.” said Bishop Antonio Nercua Ablon who is temporarily administering the Diocese of Ozamis left by Bishop Morales. 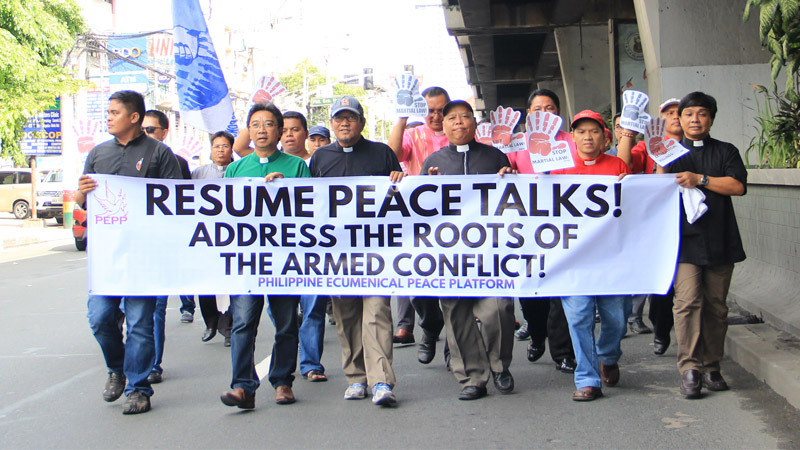 Present to express solidarity were Bishop Deogracias Iniguez of the Ecumenical Bishops’ Forum (EBF), Bishop Ciriaco Francisco of the United Methodist Church (UMC) and Bishop Joel Tiendero of the United Church of Christ in the Philippines (UCCP) and many peace advocates from the ecumenical community and peoples’ organizations. “Sa gitna ng takot at pangamba, ang nagbigay sa akin ng tapang upang magpatuloy ay walang iba kung hindi ang samahan ng mga mananampalataya, ang ecumenical movement dito sa Pilipas at sa internasyunal na nagparamdam sa akin na hindi ako nag-iisa. At ito ang nais nating ipaabot kay Bishop Carlo Morales,” said Bishop Francisco of UMC. Bishop Ciriaco Francisco was also awarded as Methodist of the Year in 2016 for his act of giving sanctuary to hungry farmers in Kidapawan City. The launching ended with a march joining the Independence Day rally at Bonifacio Shrine.